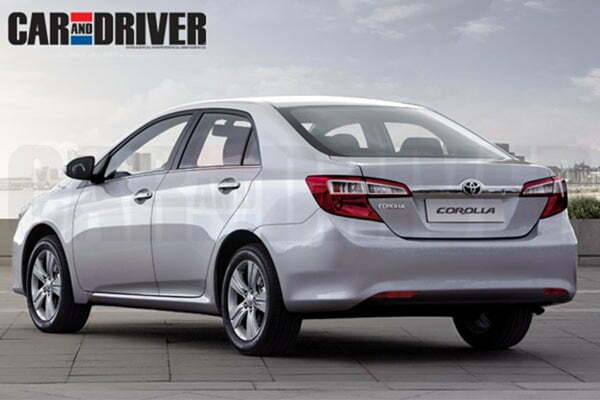 The Toyota Corolla has been one of the longest selling and the most popular models from the Japanese auto maker Toyota globally. In 2013, it will enter its 11th generation and thus Toyota is very serious to continue to keep alive the same degree of popularity which seems to have fallen bit short, thanks to the increasing competition from other auto manufacturers. On a personal take, the current model has also lost the charm that the previous models carried with them. But it is about to change. 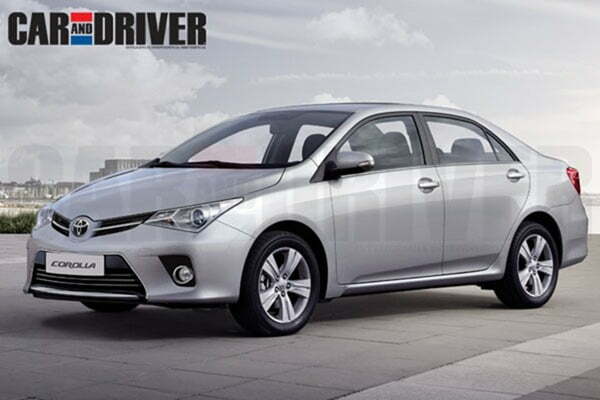 Car and Driver Brazil magazine has revealed some renderings on what might be the future possible Toyota Corolla and just by looking at it, you can say it is very new. The front, side and rear all have completely redesigned styling lines and make it look sportier. The President of Toyota Motor Corporation, Mr. Akio Toyoda’s slogan is “Fun to drive, again”. To align the car’s appeal to this, perhaps the styling has gone towards being sporty and appeals the buyers of the younger generation. The front headlamps, for example have more angular raked edges with the side following the curved side profile. Even the front air dam design has been changed and chrome lining added throughout and the fog lamps are now placed deep inside the bumper. The rear has become more Camry-ish with tapered tail lamps with a neat chrome strip in between. However, the overall stance of the car remains similar to the current model stating not much alteration to the interior cabin space. The new Toyota Corolla is rumoured to be powered by an improved version of the 1.8 litre gasoline engine tuned for extra power and torque output. This might get mated to a 6 speed manual and automatic gearbox. In the diesel, it would be welcome if they fit a larger displacement motor to the car. Continuing to use the current 1.4 litre diesel mill will not be a good choice in 2014 when it is expected to hit the Indian markets. The updated version is expected to hit the markets by the later part of next year globally.